* You think you should act like a Mom. * You feel guilty for not loving the kids. * You judge your partner’s parenting. * You obsess over your partner’s ex. * You lose yourself, in the process. I’m quite sure you’ve made either some, if not all, of these mistakes plus others. Yet, please don’t be hard on yourself. You’re human! Mistakes are normal steps to becoming wiser, more compassionate and more self-loving. Mistakes are necessary for growth and are how we learn. 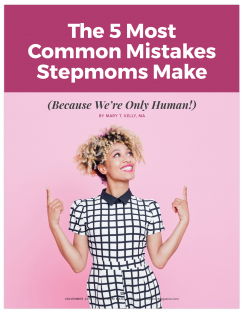 We’re about to address the five mistakes stepmoms most commonly make. You may have made them in the past or be making them currently. The goal is to make corrections that will relieve you of any unnecessary suffering and correct any faulty thoughts you have about yourself and what you can reasonably expect your role to be within your stepfamily. …To read the rest of this article, log in and download the November 2018 issue. Don’t have an account? Click here to subscribe.